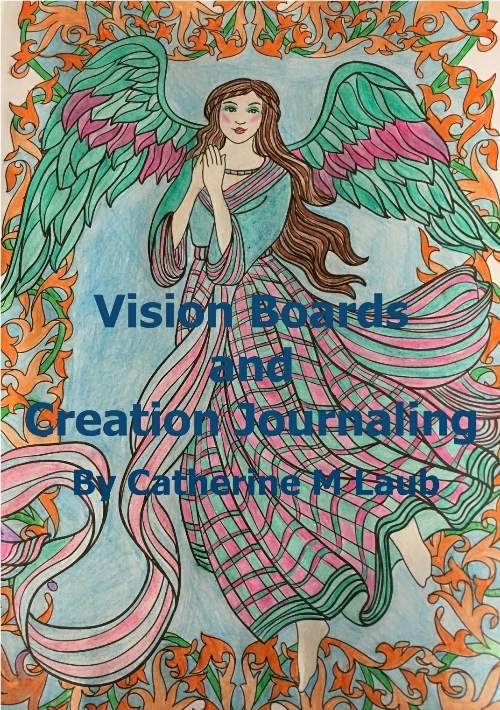 A vision board and creation journals are collages of images, pictures, words and affirmations of your intentions, dreams, goals, and things that make you happy. These are useful tools to help conceptualize your goals and serve as a source of motivation as you work towards achieving your dreams. 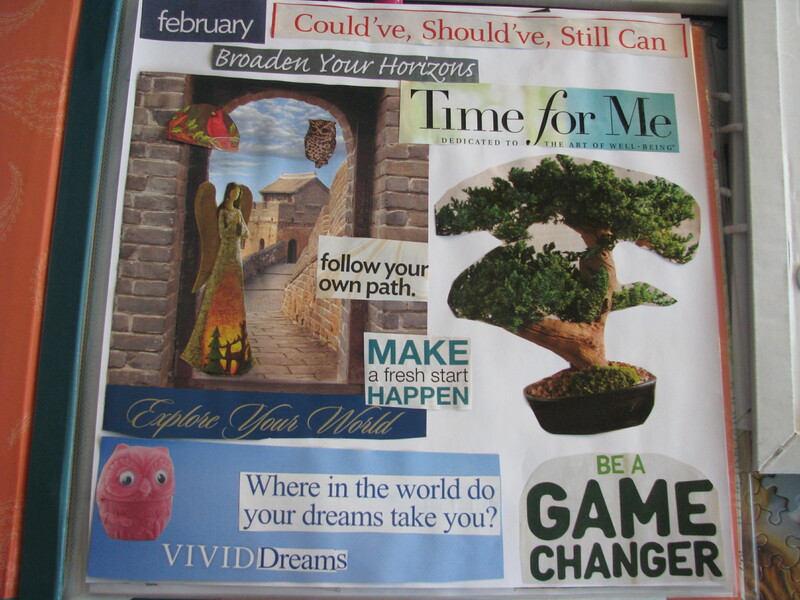 Receive your list of supplies and learn how to make a vision board and creation journal. 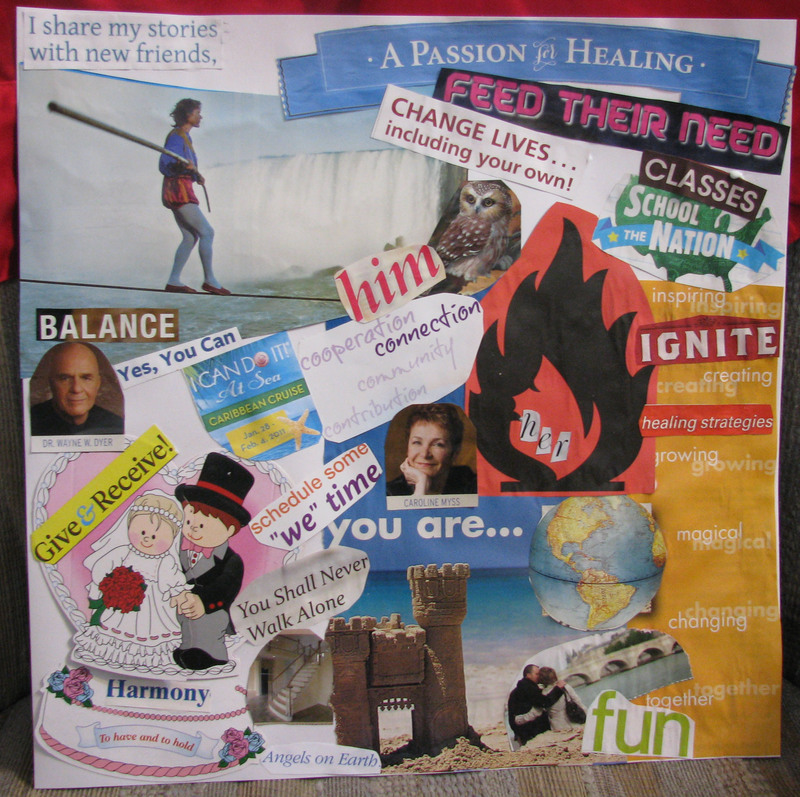 Creation Journaling is where you keep a diary in the form of journaling and making pages with pictures and words that fit into what you are going through or what you want. 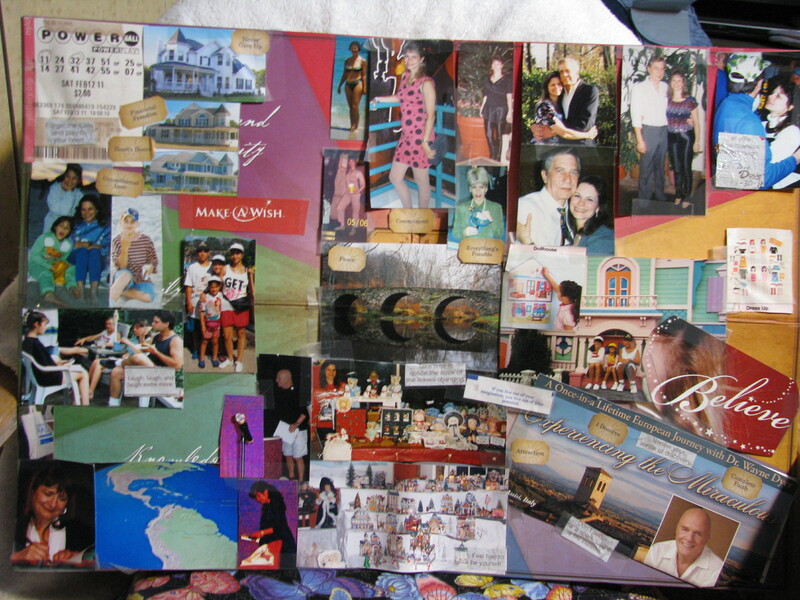 If you want something you put pictures that represent that wish and you can journal with it, just put it away, or hang it up as a reminder that you will one day have your wish. This page represents the marriage of my inner feminine and masculine. This is a result of working with the natural rhythms and my Priestess self. My feminine is fire and my masculine is water. They balance each other. These 2 are for January and February, 2015. 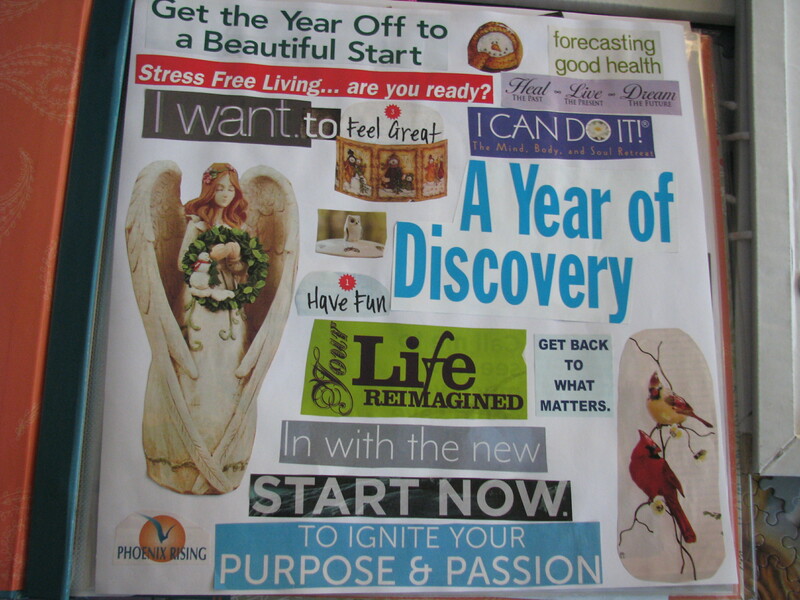 As you see I talk about beginning the new year and what I am associating it with. I want to feel great, and I CAN DO IT!! I am searching for my purpose and passion and will dive deeper this year to find it. I will broaden my horizons with any new found knowledge and apply it because it is finally a Time For Me to begin blossoming. I have many dreams and know they will come true on my new path because it is a new start and I will make a difference to a lot of people. In turn those people will help make my dreams come true.